This info last updated April 7th 2019. SpokenWord Paris is one pole of a nomadic tribe of people who love poetry, writing and song. A home for creatives and lost anglophones. 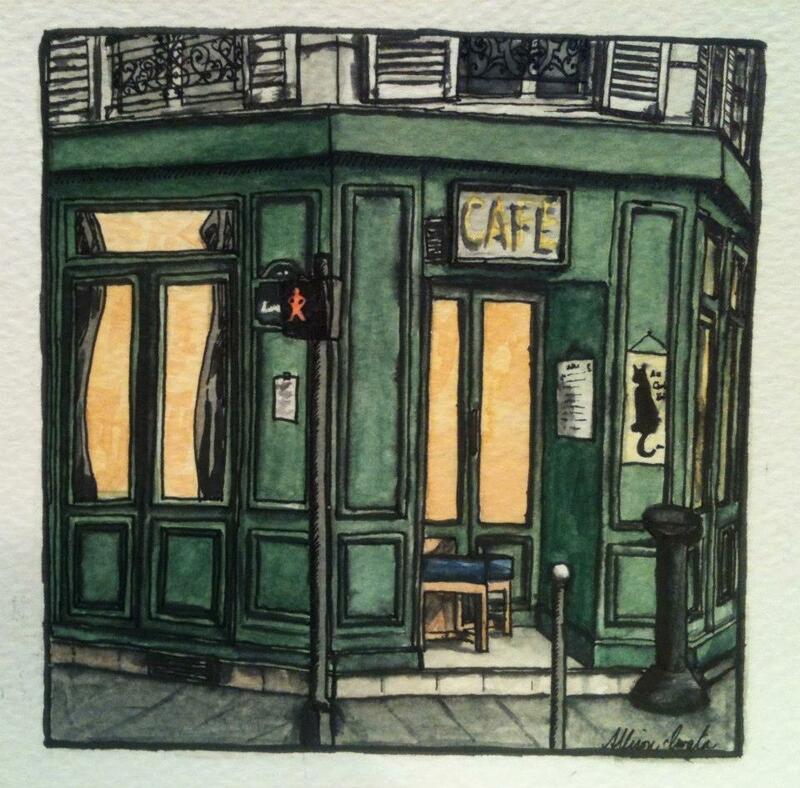 We do an open mic night called SpokenWord every Monday at the Chat Noir and an allied writers’ workshop at Berkeley Books of Paris (every Sunday.) We do a literary journal called The Bastille and Tightrope Books published many of us in the book “Strangers in Paris.” Click on the blue stamp on the right to sign up to the mailing list. A taste of Monday nights at the Chat Noir, by Victor. Listen or download here. Every Monday except August. Come to the Chat Noir, 76 rue Jean-Pierre Timbaud 75011. Métro Parmentier/Couronnes. Sign up 8pm to 9.30pm in the bar. Poetics start from 8.30pm underground. Check out the Practical info page for more info. Paris’ biggest and longest-running English open mic night, started in 2006. All languages welcome. Free entry. Exit one euro. Sunday evenings, usually 6.30pm – 8.30pm at Berkeley Books. Time sometimes varies so check here. Free. Bring your writing or just come and listen join the discussion. Hosted by Bruce Sherfield, Simon Millward and Thibaut Narme. Description. Join us afterwards for a drink. Jamika Ajalon is a prolific author and inter-disciplinary artist who works with different mediums independently, but also in multiple fusions- incorporating written and spoken text, sound/music, and visuals. Her poems, stories and essays have been published in various digital and hard copy publications internationally. She currently writes a regular column for Itchy Silk magazine “queer plume: the fugitive diaries”, guest lecturer , (including Vienna Arts Academy, and American University of Paris), vocalist, writer musician, (Zenzile/Jamika & the Argonauts). She has performed her audio visual anti lectures / sonic slam and exhibited across the globe (including Rennes Biennale of contemporary art,(2018), DISTURBANCE expo Kunsthalle Leipzig,(2017), Beton Salon, Paris (2017). She has a BA Film/Video, MA Communications in Culture and Society, Goldsmiths University, London. We are glad to announce that Nick Calderbank and Florent Simon will perform Harold Pinter’s 2-man play Victoria Station this coming Monday 25th Feb at SpokenWord. Florent Simon trained at the Cours Jean-Laurent Cochet in Paris and Estudio 3 in Madrid. He directed and acted in various university productions while studying in London and is now back in Paris, ready to make the most of his time here. Currently he is exploring new theatrical forms and experiences.